Okay, so maybe making a buzzer-beating 3-point shot is different than reassembling a reverse idler gear, but when you think about it, a good auto mechanic is like superstar LeBron James in many ways. 1. They're the best in the game. This one goes out to all the people who think they’re mechanics. Maybe they got lucky when trying to fix something, just like a below-average NBA player can have one really great game. But try fixing every problem you come across? No chance. LeBron James can figure out how to beat almost every defender, just like a great mechanic can overcome almost every problem. Why? Because both have mastered their “game” inside and out. 2. The “How did you do that?” factor. 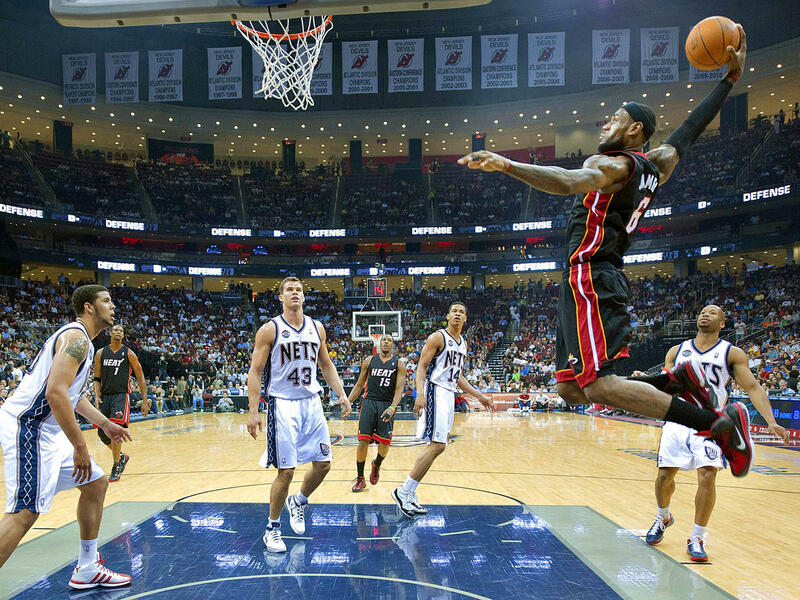 Sometimes LeBron makes a play, and regardless of which team you’re rooting for, you can’t help but say, “Holy ****! How did he just do that?!?”. The same goes for a great auto mechanic. The really good ones can take a rusted heap of junk and turn it into a fully functional machine once again. Even if LeBron might get more tweets from an insane dunk than a mechanic from fixing a broken clutch, you better believe that somewhere out there, a mechanic is doing something equally impressive. 3. Not everybody is a fan. Maybe people don’t like mechanics for a different reason than LeBron, but the distaste is still there. Sometimes, there is a stigma surrounding the auto mechanic industry, mostly stemming from a few bad apples here and there and from a general misunderstanding of how much effort and cost it actually takes to heal cars. But hey, that’s what makes the great ones fight even more. That’s certainly what LeBron does. Block out the haters, and keep being dominant. 4. They’re boastful, but only because they can be. >When you’re the greatest, you can say you’re the greatest. LeBron in his now infamous “Decision”, “…took his talents to South Beach”, which upset a lot of people, but enshrined him as a player that wasn’t afraid to act like he was the best. Similarly, great auto mechanics take pride in their work and enjoy letting people know that they’re the best around at what they do. Maybe a primetime TV special devoted to fixing a car isn’t the most graceful thing to do, but if a mechanic is really good, they should brag a little. 5. They’re on a team, but can individually take control. LeBron will pass the ball when he doesn’t have a shot, but almost every other time, he’ll try to score, because he believes he can. Such is the mindset of the great mechanic…always believing that they can fix a problem, and more often than not, delivering on that. As a Celtics fan, it pained me to speak about LeBron in such a good light, but hey, you can't argue his talent. Do you agree? Disagree? Let me know in the comments!